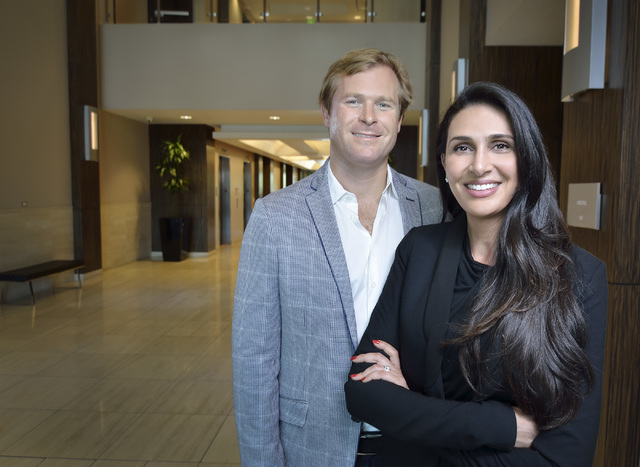 The commercial real estate market in Las Vegas is coming back in a big way from the depths of the Great Recession, and Dornin Investment Group is betting its investments in office space will catch the wave. ▶ And Seven Hills Medical Center, which consists of two two-story, 43,000-square-foot medical office buildings. 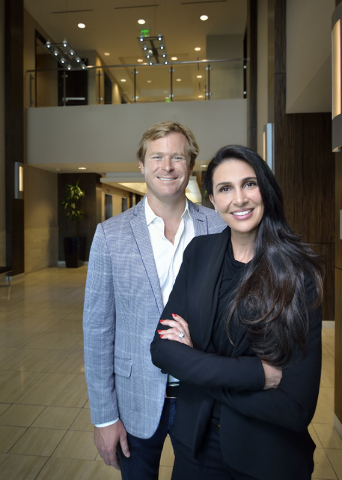 Chris Dornin, founder and chief executive officer, describes the company as a real estate investment firm that invests in commercial and residential real estate in partnership with a broad base of institutional and private investors. The firm specializes in distressed, opportunistic, value-add and core-plus real estate investments in all major property types throughout the United States with a focus on Arizona, California, Nevada and Texas, according to the company’s website. Dornin and his wife purchased a residence at the Mandarin Oriental City Center and moved to Las Vegas as full-time residents last year. In true Las Vegas fashion, Dornin Investment is ready to bet on one of its investments paying off. Dornin paid almost $40 million for the Marnell Corporate Center, and now, the property is for sale. Dornin’s decision to test the market on the Marnell Corporate Center might pay off big for the investment company. The Las Vegas office market reported a 23.6 percent vacancy rate at the end of the first quarter of 2015, which represents a decline of 10 base points from the prior quarter, according to an office market report compiled by Voit Real Estate Services, which has an office in Las Vegas. The office market also reported about 113,700 square feet of positive net absorption in the first quarter, which compared favorably to the negative 83,800 square feet of net absorption in the same quarter in 2014. “Unlike other West Coast locations — Los Angeles, San Francisco Bay Area and the Pacific Northwest — Las Vegas has not reached its peak,” said Brad Tecca, managing director of DTZ’s office San Diego. DTZ helped Dornin Investments purchase the Marnell property. In February, the Las Vegas Metropolitan Statistical Area reported an annual job growth of 27,500 positions, including 10,600 jobs in the leisure and hospitality sector and 4,000 jobs in professional and business services, according to the Voit report. That report goes on to say that while it will be some time before office market vacancies reach pre-recession levels, it is likely the vacancy rate will continue to decline in 2015. As for Dornin Investments plans for future investments of Las Vegas, Dornin said his company is always analyzing opportunities.